Three colleges have revealed plans to leave the Gazelle College Group this month, taking the total number quitting before next year to four. The departures will reduce the organisation to 19 members with its £35,000 annual membership fee understood to have proven difficult to justify for colleges unable to point to independent research highlighting any return on investment. 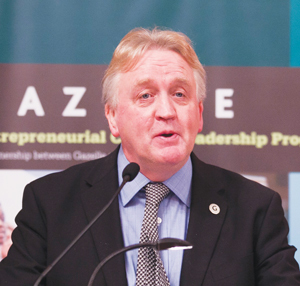 It has prompted a review of membership at Gazelle, with chief executive Fintan Donohue revealing to FE Week that he was looking at “new ways of continuing our association with colleges who share our agenda, but are not at the current time able to commit to a full membership”. Middlesbrough College, The Sheffield College and Peterborough Regional College all confirmed they would not be renewing memberships, just weeks after Gloucestershire College announced its plans to withdraw, claiming it could better spend its money elsewhere. And Carlisle College, Lewisham Southwark College and Glasgow Kelvin College said they were yet to make decisions on their future membership. 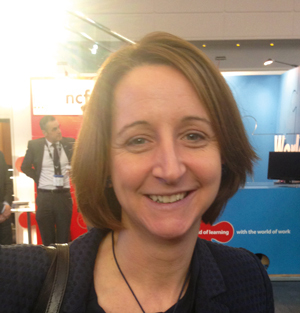 Middlesbrough College principal Zoe Lewis told FE Week: “We have reviewed our subscription and I have let Fintan know that we are not going to be renewing at the end of the year, for lots of reasons. Heather MacDonald, chief executive of The Sheffield College, said: “We are a member of the Gazelle Group due to a mutual interest and expertise in enterprise skills and education, and that will continue until the end of this calendar year. Gazelle members Cambridge Regional College, Activate Learning, Amersham and Wycombe College, Gateshead College and Preston’s College confirmed they would renew. When asked if they planned to renew, Highbury College, Warwickshire College, North Hertfordshire College, City College Norwich, Cardiff and Vale College, Plymouth College, New College Nottingham and City of Bath College only confirmed they would be members for the “foreseeable future”. City of Liverpool College, South West College and Barking and Dagenham College declined to comment. It comes after Gazelle came under fire from the University and College Union as FE Week revealed earlier this year that colleges had spent £3.5m on membership of the group and its services between January 2012 and June of this year. Mr Donohue, who at the time defended the large amounts pumped in by colleges, told FE Week Gazelle’s membership situation had always “evolved”. He said: “Some colleges do not feel able to continue full membership of Gazelle next year. We have greatly valued their support in advancing a shared ambition to put entrepreneurship at the heart of college operations and the student experience. “The vast majority of our members, in spite of competing priorities, have indicated an ongoing commitment to full membership. All these colleges should join The Entrepreneurial Education Group (TEEG). Fantastic membership package at a fraction of the cost, run by entrepreneurs! The departure of four colleges from the Gazelle group comes as no surprise as it has become blatantly clear to most of the sector that there is little or no value in belonging to Gazelle. It cannot however, be denied that belonging to Gazelle continues to have a considerable impact on those colleges that still remain members. The purpose of this response is to give readers tangible examples of the impact that Gazelle membership has had at North Hertfordshire College. Today a significant amount of redundancies have been announced which, according to the Principal, Signe Sutherland, is the result of funding cuts and ‘a slowing of sales in our commercial business’. What the Principal’s explanation doesn’t reveal is that the most likely cause of these redundancies (and earlier redundancies) is the continued waste of public money that the college has spent in trying to realise Gazelle’s vision of an entrepreneurial college. Aside from the membership fees, North Hertfordshire College has invested in excess of 500k in a Gazelle Stem Centre which opened some eighteen months ago and which has remained almost completely empty since it was completed. In addition Gazelle’s flagship learning companies continue to operate at a loss. Just recently the first learning company, a car wash, was closed after reportedly losing tens of thousands of pounds over several years. Are these the examples of the ‘slow down’ in our commercial buusiness that the Principal refers to? Those of us that are currently at threat of redundancy are the real cost of Gazelle.